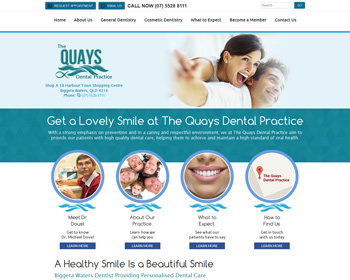 The Quays Dental Practice: New Dental Website Launched! Dentist, Dr Mike Doust, will thoroughly address your concerns whether you’re in need of general or cosmetic dentistry. With nearly 40 years of experience, he is well-versed in finding solutions to fit your individual needs. We can't wait to meet you.